Nationwide events for alumni, parents, and friends and a new website launch the public phase of the most ambitious fundraising campaign in the University's history. The College sets a goal to expand the Metcalf program so that every incoming undergraduate will have at least one paid internship opportunity. 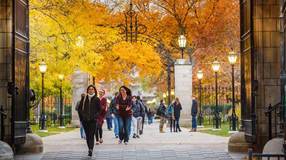 A German student, a South Asian language, a UChicago career. What does it take to build an ultra energy-efficient research facility? Evanna Hu, AB'12, inspires with her commitment to extending the potential of the internet to developing countries. Chicago Booth economists Matthew Gentzkow and Jesse Shapiro find less partisan news segregation than people typically perceive. UChicago Medicine internist Adam Cifu writes a "medical epitaph" for his deceased patients to remember and to learn from them. "The more education you have, the less time you have for leisure," says Chicago Booth's Erik Hurst, capturing a paradox of prosperity. Braintree founder Bryan Johnson, MBA'07, has created a fund for start-ups focused on a sci-fi future. 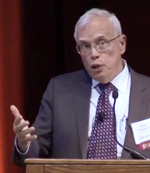 Watch economist James J. Heckman's keynote address from the University's recent memorial events honoring Becker's life and work. Deepen your engagement with the University or broaden the impact of committed alumni by submitting nominations for the opportunity to serve on the Alumni Board of Governors. The nominations deadline is November 15.